NIA CHARLESTOWN NEVIS (October 24, 2014) — Premier, Hon. Vance Amory said in London recently that the St. Kitts Nevis Citizens by Investment Programme (CBI) can become more attractive and beneficial for St. Kitts and Nevis and for clients, if applicants are given the added option of investing directly in any Government Public Sector Project. Premier Amory made the submission during a discussion on what new initiatives could be added to the St. Kitts and Nevis’ CBI Programme. 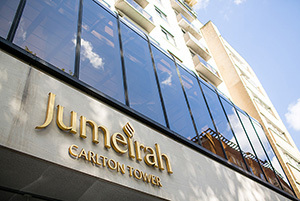 He was at the time attending the Citizenship By Investment and International Residence Summit, 2014, at the Jumeirah Carlton Tower, London from October 21-22, 2014. In a report to the Department of Information on October 23, 2014, on his London trip, Premier Amory said he told attendees that if applicants could invest in areas such as the Health Sector, Education or other Social and Physical Infrastructure, those investments could benefit the people and create employment in the course of implementation. Mr. Amory’s comments runs parallel to the fact that countries all over the world, which are engaged in CBI Programmes are providing options within these programmes to make their particular jurisdiction more attractive to clients who may have specific niche areas that they would like to invest in and still have access to citizenship. In addition to St. Kitts and Nevis, there are other Caribbean countries like Antigua and Barbuda, Dominica and Grenada, which are seeking to capitalize on CBI Programmes. These countries see CBI as a potentially lucrative initiative, which could go a long way in providing a source of Foreign Direct Investment, to enable them to meet some of their fiscal challenges. Meantime, Mr. Amory also spoke of another event he attended in London on Wednesday, which was tailored to focus on Nevis and the opportunities for investment in Tourism, Real Estate and the island’s Financial Sector. Jan Dash of Liburd and Dash, a local law firm, along with a number of corporate citizens who do business on Nevis, planned the event, which hosted more than 100 prospective clients. The Premier said he was given the opportunity to make a presentation that highlighted the Nevis Island Administration’s thrust in the development of Tourism and Financial Services. He said he also reinforced to his audience, the importance of attracting investment in these sectors for the continued economic and social development of Nevis. Mr Amory said he spoke about the consideration of affording the option of direct investment in specified Government projects to clients, who are interested in the St. Kitts and Nevis Citizen By Investment Programme. He had made that same submission earlier that week at the Citizens By Investment and International Residence Summit which was held at the Jumeirah Carlton Tower. The Premier said he thanked Mr. Dash for his initiative in organising the event and that he was equally gracious to the other corporate citizens and friends of Nevis, for their support in promoting the island. Also at the event to make presentations were Vieonce Prentice of Jirehouse, Kurlyn Merchant of Walwyn Law, as well as other representatives from of Paradise Villas, Nevis Trust Ltd. and Akeman. All of the mentioned corporations do business on Nevis. 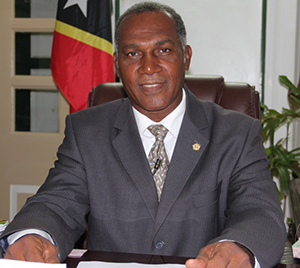 Before returning to Nevis, Premier Amory will be a featured speaker, along with Terry Scanlan of Four Seasons Resort Estates, Nevis, at the 8th Annual Global Citizenship Conference at the Fullerton Bay Hotel on Oct. 29 – 30, 2014 in Singapore. The Conference will be sponsored by Henley & Partners, who is the global leader in residences and citizenship planning.